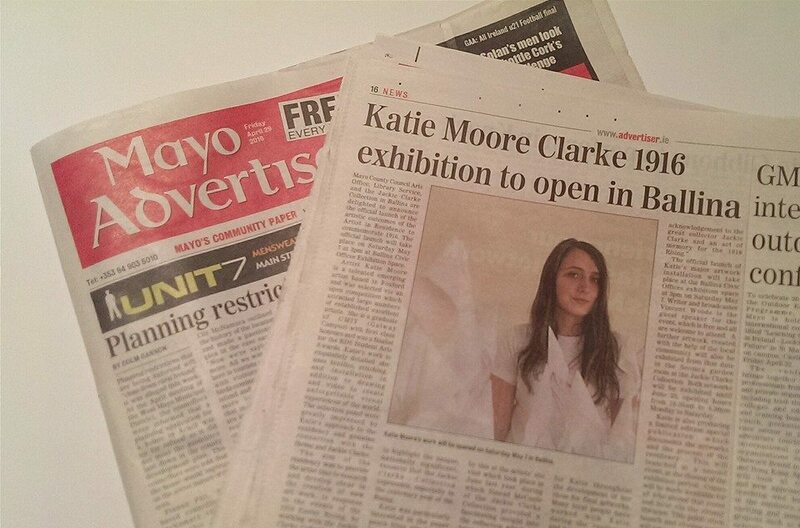 Thank you to the Mayo Advertiser for the feature in this weeks newspaper…. 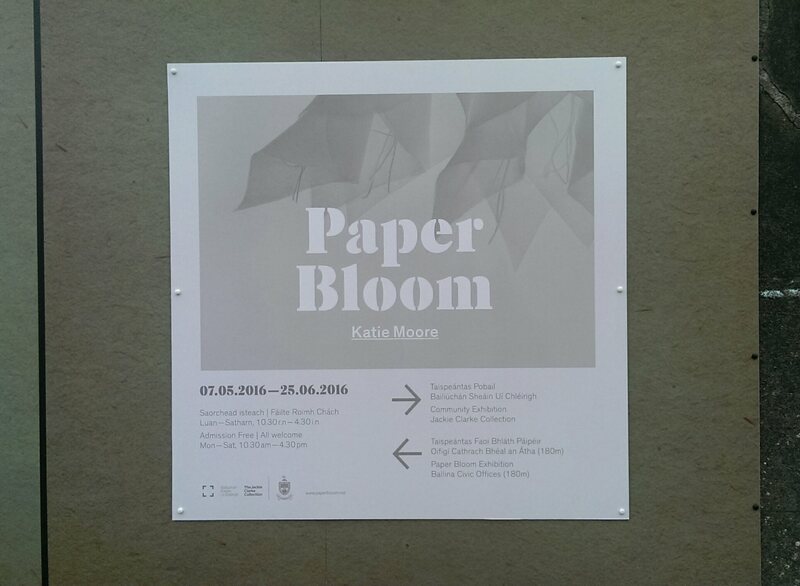 The feature is about my upcoming Paper Bloom exhibition at the Ballina Civic Offices and the Jackie Clarke Collection. Both opening on Saturday 7th May at 3pm. Free admission and all are welcome. Mayo County Council Arts Office, Library Service and the Jackie Clarke Collection in Ballina are delighted to announce the official launch of the artistic outcomes of the Artist in Residence to commemorate 1916. The official launch will take place on Saturday 7th May at 3pm at Ballina Civic Offices Exhibition Space. 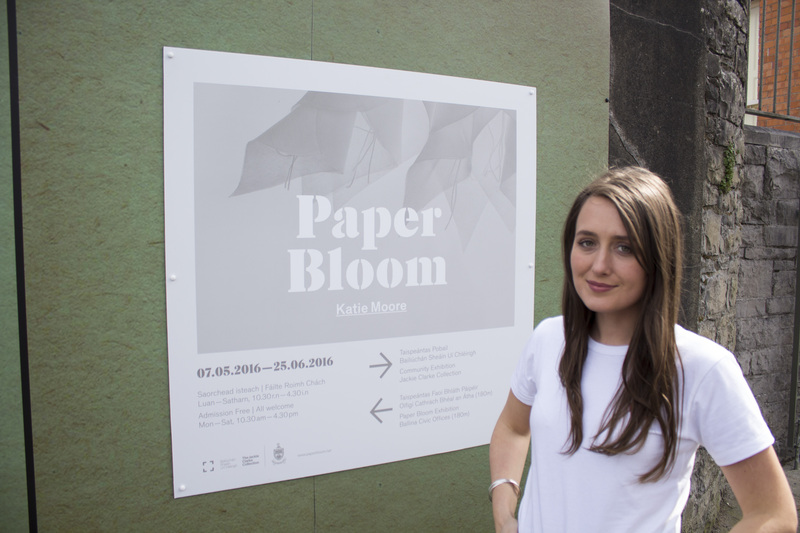 Artist Katie Moore is a talented emerging artist based in Foxford, County Mayo and was selected via an open competition which attracted large numbers of established excellent artists. She is a graduate of GMIT (Galway Campus) with first class honours and was a finalist for the RDS Student Arts Awards. 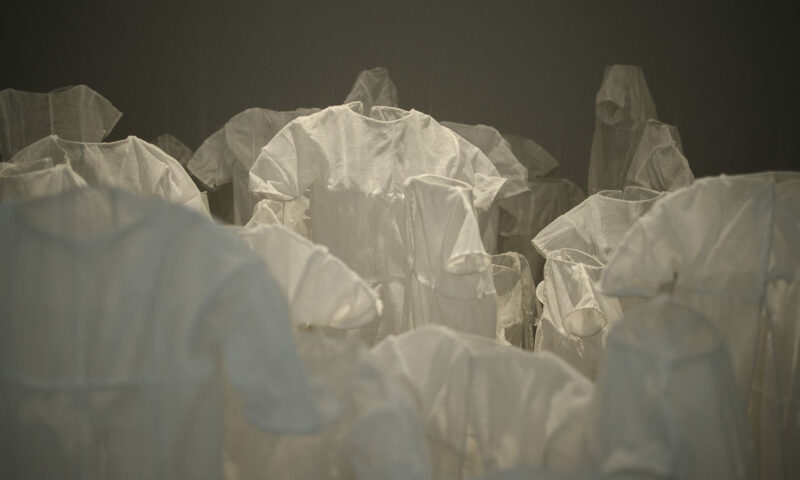 Katie’s work is exquisitely detailed: she uses textiles, stitching and installation in addition to drawing and video to create unforgettable visual experiences of the world. The selection panel were greatly impressed by Katie’s approach to the residency and genuine connection with the theme and Jackie Clarke. The aim of the residency was to provide the artist time to research and develop ideas in the creation of new art work, in response to the events of the 1916 Easter Rising, by working with the Jackie Clarke Collection. It also provided an opportunity to highlight the unique, nationally significant resource that the Jackie Clarke Collection represents, especially in the centenary year of the Rising. Katie was particularly interested in the paper peace lilies which were found in Jackie’s wallet, included in the collection. She was greatly inspired by this at the artists’ site visit which took place in June last year, during which Sinead McCoole, of the Jackie Clarke Collection, provided a fascinating insight into the collection which has been described as ‘an overflowing treasure chest’. The lily theme continued to be a large source of inspiration for Katie throughout the development of her ideas for final artworks. Many local people have worked with Katie during the residency, and have contributed to the creation of a special installation which will be on view from the launch on Saturday 7th May. Katie says “I’m making a piece of art that is an acknowledgement to the great collector Jackie Clarke and an act of memory for the 1916 Rising”. The official launch of Katie’s major artwork installation will take place at the Ballina Civic Offices exhibition space at 3pm on Saturday 7thMay. Writer and Broadcaster Vincent Woods is the guest speaker for the event, which is free and all are welcome to attend. 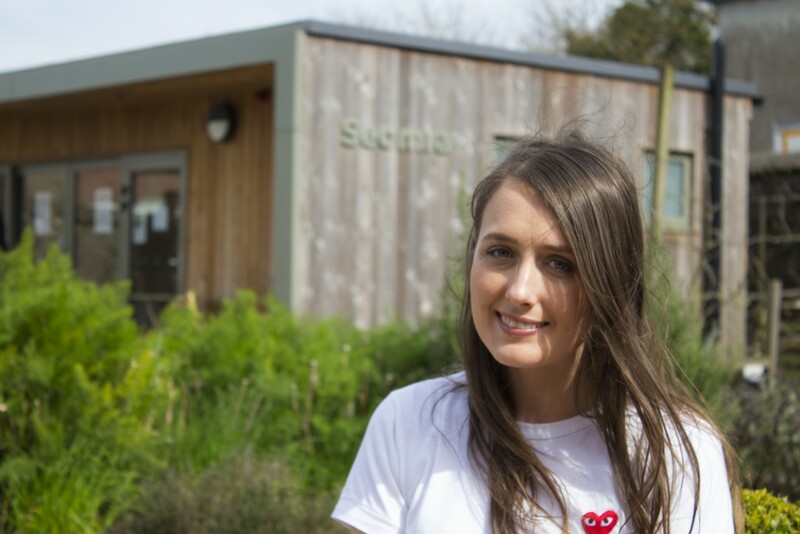 A further artwork, created with the help of the local community will also be exhibited from that date in the Seomra garden room at the Jackie Clarke Collection. Both artworks will be exhibited until 25th June, opening hours 10.30am – 4.30pm Monday – Saturday. Katie is also producing a limited edition special publication which documents the artworks and the process of the residency. This will launched at a second event, at the closing of the exhibition period. Copies will be made available for all who attend that event and later via the county libraries. This publication launch and closing event will take place at the Civic Offices exhibition space on Saturday 25thJune at 3pm. Irish Times Arts Critic Aidan Dunne will be the guest speaker. All are welcome to this free event. In the coming years as we mark the centenary of the founding of the state, 2016–2023, this repository of Irish material will become a site of central importance as documents in this collection will shed new light on these past events. 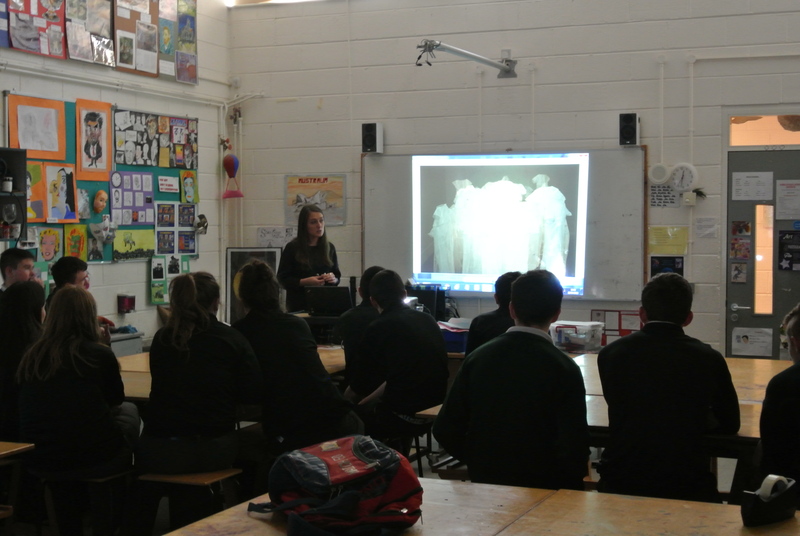 Yesterday I had the opportunity to give an artist talk to the transition year students there as part of the Excel 2016 – Mayo County Council’s Youth Arts Programme. I talked about life as an artist in Mayo, my experiences of being an art student, and my 1916 artist residency at the Jackie Clarke Collection. It was great getting to meet all the lovely students. A big thank you to the art teacher Alfreda Courtney and the transition year students from St. Patrick’s College Lacken Cross. On Sight is an annual Summer art trail in the grounds of the National Museum of Ireland, Turlough Park, Co. Mayo. The purpose of the art trail is to encourage visitors to explore the themes of the Museum through outdoor art works. This year the theme for On Sight 2016 is ‘1916’ – with a focus on daily life and drawing on the Museum’s collections for inspiration. Here is a video about On Sight…. See if you can spot me! I’m very excited about taking part in On Sight 2016. My outdoor sculpture is entitled ‘Where they see beauty, we see necessity’. Check out all of the artists taking part by clicking here. 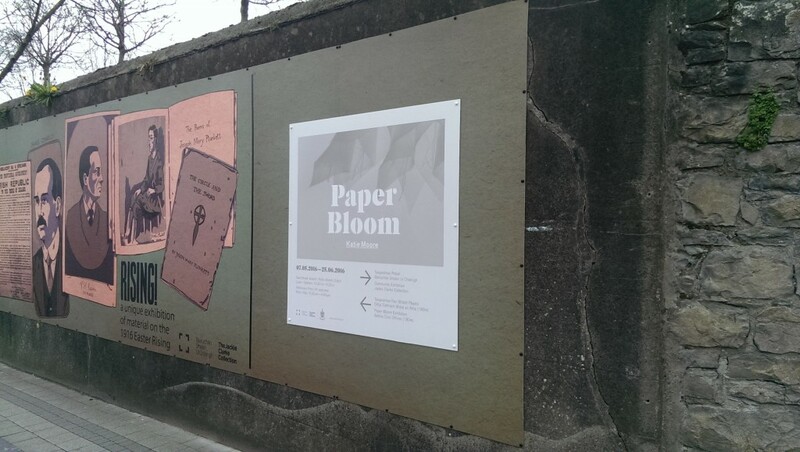 Look out for my Paper Bloom exhibition sign on the outside wall of the Jackie Clarke Collection gardens…. The photograph used in the sign was taken by Michael McLaughlin, then the sign was designed by Sally Caulwell, and printed by Connacht Print and Signs. I’m so happy with how it has turned out! 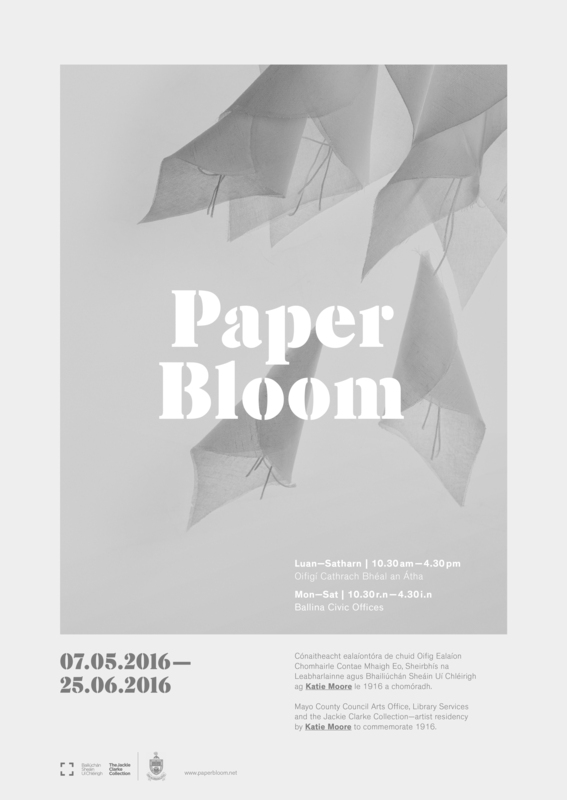 I’m super excited about my Paper Bloom exhibition posters! Paper Bloom opens Saturday 4th May at 3pm with Vincent Woods, writer and broadcaster, at the Ballina Civic Offices…. All are welcome! Keep an eye out for the posters! 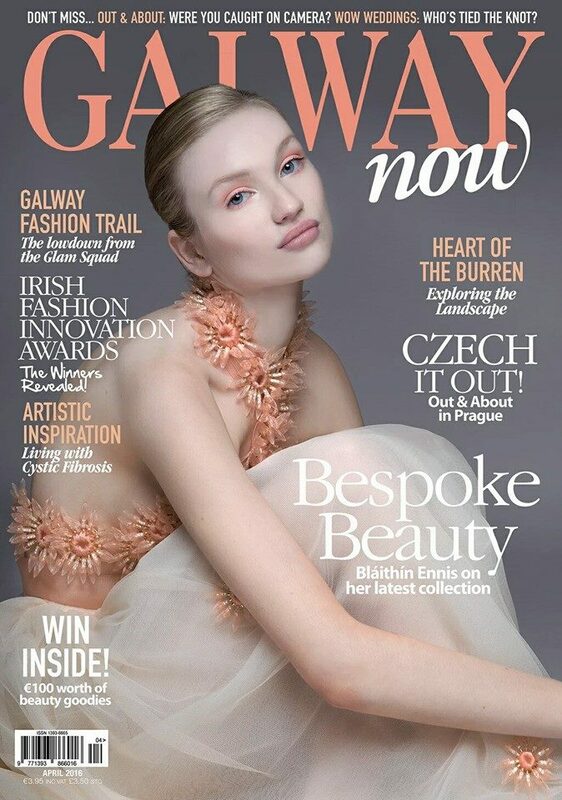 Thank you to Galway Now magazine‬ for the feature in this months issue. 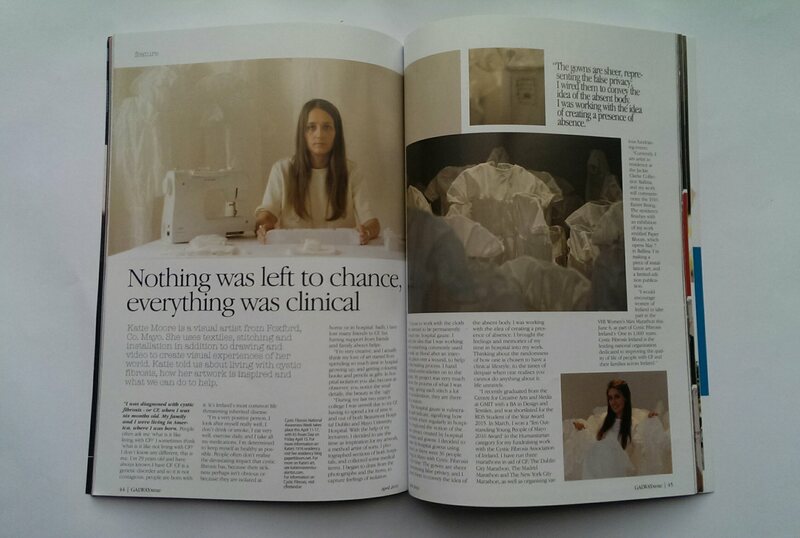 I discuss Cystic Fibrosis and life as an artist – Check it out!